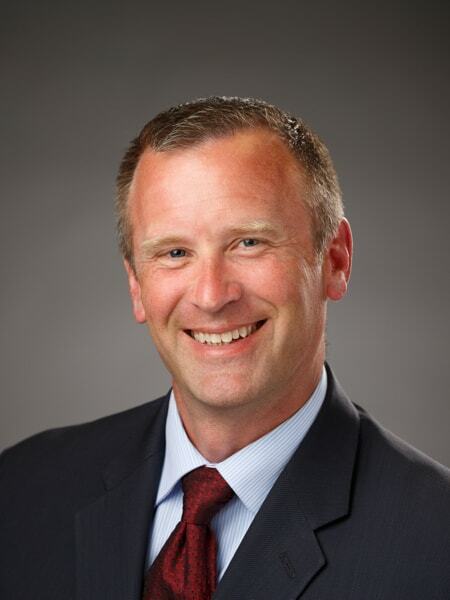 Troy brings to Phillips Burgess Government Relations more than two decades of public policy and campaign experience throughout the Pacific Northwest. His solid record of accomplishment at the local, state, and national levels in both Oregon and Washington State has earned him the reputation of a hard-working and successful advocate for a wide variety of interests. Troy's broad experience includes serving as Washington State Director of the National Federation of Independent Business (NFIB), where he advocated for small business interests in the Washington State Legislature and was responsible for spreading a pro-small business message throughout the state. Following his success at NFIB, he was tapped to serve as the Director of Policy Development for the Washington House Republican Caucus, where he coordinated the caucus legislative agenda and managed a staff of ten policy analysts. He was also the caucus staff liaison for the House Capital Budget Committee, helping to negotiate and pass several multi-billion dollar capital budgets during his tenure. Most recently, Troy led the Olympia Master Builders (OMB), a five-county trade association, as Executive Officer. During his term of service, he helped stop the Association's decade-long decline in membership, balanced its annual budget for two years in a row, revamped existing programs, added significant new events, and racked up an impressive string of local policy and electoral victories. Perhaps his most notable accomplishment was helping to lead a coalition of interests in bringing a successful legal challenge against Thurston County's Mazama Pocket Gopher Interim Screening Process. A native of Oregon, Troy quickly climbed the political ranks, starting out in 1995 as a legislative assistant in the Oregon State Senate. From there, Troy spent several years in Eastern Oregon, working as a field representative for US Senator Gordon Smith and Congressman Greg Walden. Troy returned to Salem in 2001 to become the policy director for the Oregon House Republican Majority Leader. He also successfully directed the Oregon House Republican campaign efforts in 2002 and 2004, leading the caucus to its largest majority in three decades during the 2002 election cycle. He eventually served as Chief of Staff to the Oregon House Majority Leader and the Speaker of the Oregon House, and during that time he was also elected to serve on the Keizer City Council. Outside of work, Troy enjoys attending live sporting events, concerts, and travelling. He is an assistant T-Ball coach for his son's Capitol Little League team. He was also a founding member of The Roanoke Conference, the annual must-attend event in Ocean Shores, Washington, for center-right political enthusiasts throughout Washington. Troy and his wife Julie recently finished building a new home in the Olympia area, where they live with their two young children. Firm principal Brad Tower is a second generation governmental affairs professional with more than 15 years’ experience in contract lobbying. Well known and highly regarded among the ranks of public servants and professional staff at all levels of government, Brad brings to Phillips Burgess Government Relations a passion for the public good and a thorough knowledge of the Washington legislative process. Provide for more comprehensive and effective vision screening for adults and children. An accomplished writer and regular contributor to numerous trade publications and the media, Brad maintains a year-round presence in the state capitol, nurturing relationships with legislative and administrative agency staff members. He regularly provides testimony at public legislative hearings, as well as to rulemaking bodies of the state’s administrative branch. He is a recipient of the Association of Washington Business (AWB) Ron Gjerde Award for outstanding contributions to the business community by a lobbyist. In addition to lobbying, Brad has created a web-based legislative tracking and reporting service widely used by Washington’s top tier governmental affairs professionals (www.legitrak.org). He also contributes time in the community as a football coach for Thurston County Youth Football League and YMCA Flag Football, a regular blood donor, and an advisory board member for Raise for Rowyn, a nonprofit supporting families dealing with the death of a child. A High Honors graduate of the University of California at Santa Barbara, the recurrent political campaign volunteer is a repeat presenter on effective advocacy strategies and the role of lobbyists in public policy at the University of Washington’s Evans School of Public Affairs, the Jennifer Dunn Leadership Institute, and Seattle University School of Law.